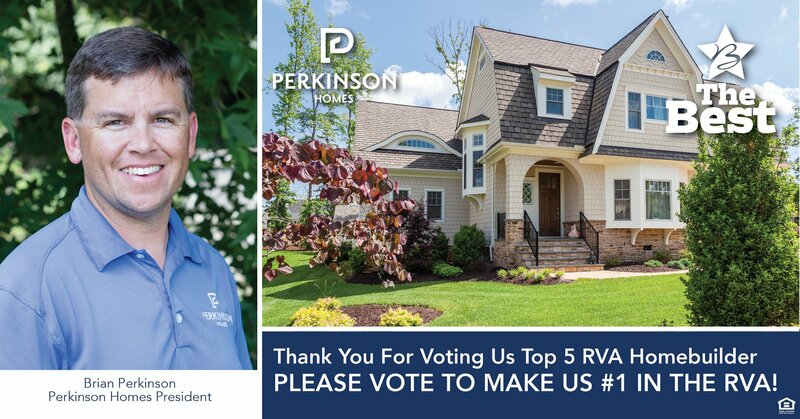 Vote for our builder clients, Perkinson Homes, in the Richmond Times Dispatch's The Best of Richmond contest! Vote today and everyday through August 5, 2018 at www.voteforperk.com. For more information on Perkinson Homes, download the Meet the Builder story below.